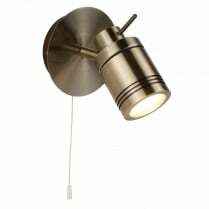 New for 2018 from Searchlight, the Samson range of IP44 rated spotlight fittings is available in either antique brass or satin silver and comprises wall spots, and ceiling clusters and bars. 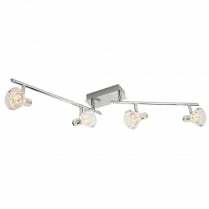 Each fitting is supplied with the required number of LED GU10 bulbs, replacements for which can be found in the accessories section of our website. 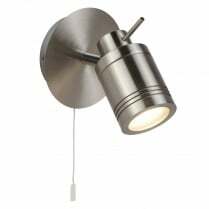 The maximum wattage supported by these fittings is 4W per bulb and they are not compatible with a dimmer switch. 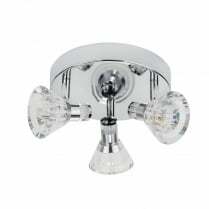 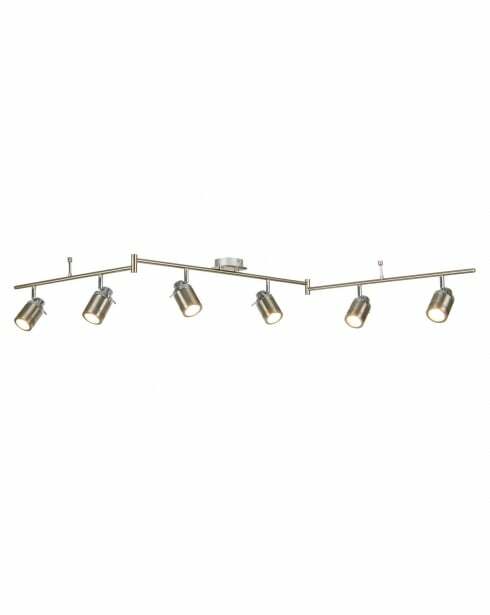 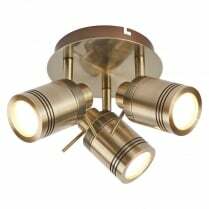 The 6606AB is a six light ceiling bar and is finished in antique brass. 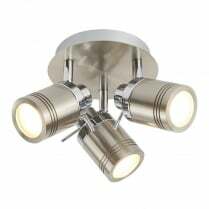 The Samson six light bar has a height of 20cm, a width of 9cm and a length of 180cm.